I’ve been putting a lot of weight onto the lower starred reviews. I’ve worried and thought about changing my story based on a few opinions. I’ve felt bad about myself, my writing, and so I didn’t write and instead stalled the last few days. This was in disregard to the several people I know that want to read the second book- who liked the cliff-hanger in Larkspur if only because it meant more soon. To the many people who gave me 4 and 5 stars. I neglected them, the majority of my reviewers, who in all likelihood are my real readers. And that’s just unacceptable. I wanted to publish with the promise of more soon, and my word should mean something. It’s why I picked self-publishing in the first place, so I can write and release asap. I’ve been writing today, and am going to continue. Larkspur will be out on Kindle on the 9th of June- Wednesday. It’s a birthday of an important character in the series, though you haven’t met him yet. 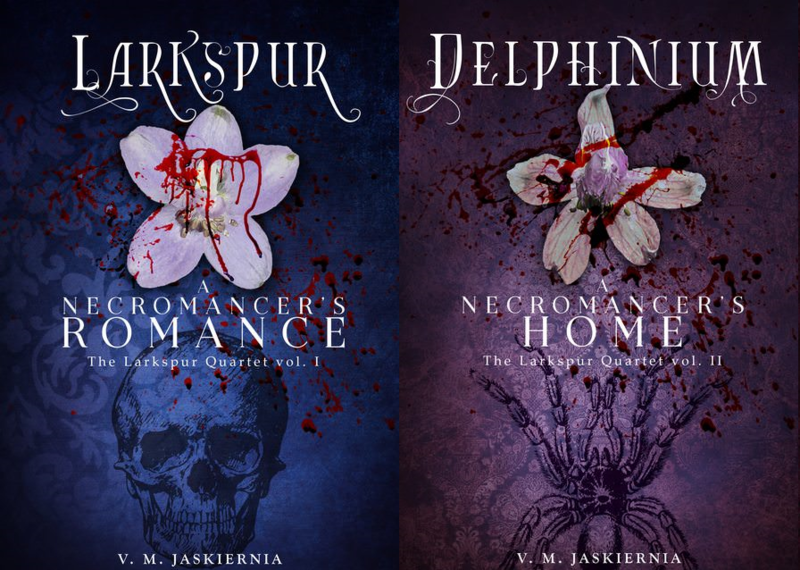 Delphinium will be up on Kobo, Nook, and iBooks within the days after- it takes them a bit more time than Amazon to inspect a story and publish it. *Hug* Thank you for your patience, kindness, and encouragement. I hope Delphinium is worth the wait, and I promise not to let Consolida drag as much as this has.